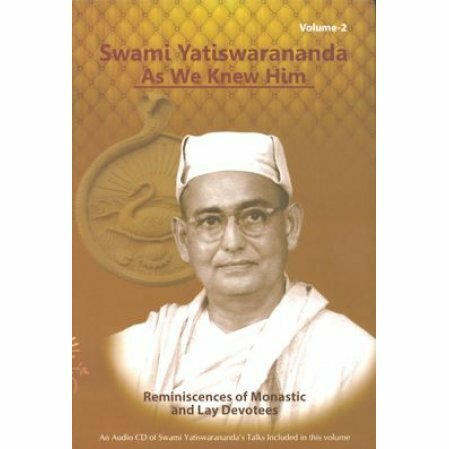 Reminiscences of Swami Yatiswarananda by Monastic and Lay Devotees. Well-versed in Eastern and Western philosophies, Swami Yatiswarananda was a senior monk and Vice-president of the Ramakrishna Order. 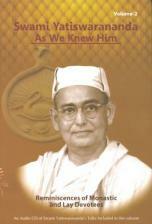 He spent seven years spreading Vedanta in Europe and ten years in the USA. The swami was highly respected for his winning manner, feeling heart, catholic views. He earned the respect and devotion of a large number of devotees and disciples in India and abroad. He is perhaps best known in the west today for his book Meditation and Spiritual Life. Also included is an audio CD containing some of his chanting and talks.